Vladika Danilo was succeeded by Vladika Sava and Vladika Vasilije. Vladika Sava was predominantly occupied with clerical duties and did not enjoy as much charisma among tribal heads as his predecessor did. However, he managed to keep good relations with Russia, and to get considerable help from Petar's the Great successor empress Jelisaveta. During his trip to Russia his deputy Vasilije Petrovic gained considerable respect among clan heads by giving support to some Montenegrin tribes who were attacked by Turks. He was as much hated by the Venetians as he was by Turks. Vasilije was also active in trying to solicit Russian support for Montenegro. For that purpose he went three times to Russia where he died in 1766. He also wrote one of the earliest historical books ("History of Montenegro") on Montenegro. During Christmas fasting in 1766, after the rumors spread by captain M. Tanovic, in Montenegro appeared, supposedly, the Russian tzar Petar III, who was believed to had been murdered by the lovers of Katherine II in 1762. Having affection for Russia, Montenegrins accepted the newcomer as their new tzar (1668) under the name of Scepan the Small (Scepan Mali). Vladika Sava conveyed to people Russian massage that Scepan is an ordinary crook, but the people believed the tzar rather than Sava. Following this event Scepan the Little put Sava under house arrest in Stanjevici monastery. Scepan the Small was very cruel but respected and feared man during his reign. After realizing how much respect he commands, and that only him can keep Montenegrins together, Russian diplomat Dolgoruki abandoned his efforts to discredit Scepan giving him even financial support (Jagos Jovanovic, Stvaranje Crnogorske drzave i razvoj Crnogorske nacionalnosti, 1947, Obod-Cetinje). In 1771 Scepan founded the permanent court comprised of most respected clan leaders, and stubbornly insisted on respect of the courts decision. 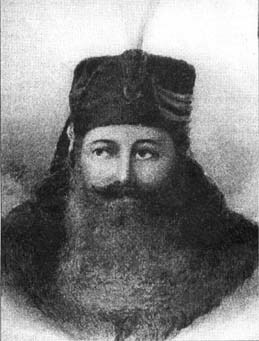 The importance of Scepan personality in uniting Montenegrins was realized soon after his assassination conducted by order of vizier of Skadar, Mahmut Pasha Busatlija. Montenegrin tribes once again engaged into blood feuding among themselves. Mehmed Pasha Busatlija tried to seize the opportunity and attacked Kuci with 30 000 troops. For the first time since Vladika Danilo, Kuci were helped by Piperi and Bjelopavlici, and defeated Turks twice in two years(Jagos Jovanovic, Stvaranje Crnogorske drzave i razvoj Crnogorske nacionalnosti, 1947, Obod-Cetinje). After Scepan death, Governadur (title created by Danilo to appease Venetians) Jovan Radonjic, with a Venetian and Austrian help, tried to impose himself as a new ruler. However, in the assembly of Cetinje, after the death of vladika Sava (1781), for their vladika and "dobrociniteljnog starjesinu" Montenegrins chose achimandrite Petar Petrovic, who was a nephew of vladika Vasilije.